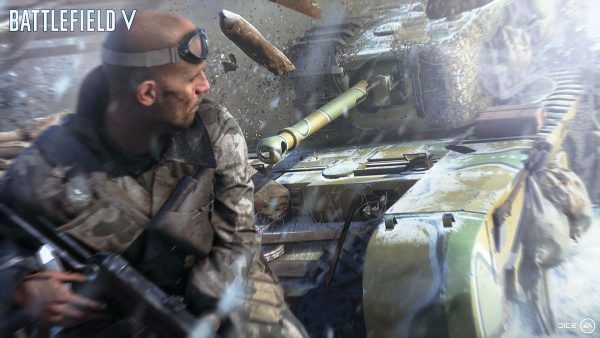 Battlefield 5’s Grand Operations will be playable at launch and as part of Tides of War, according to clarification from DICE. Yesterday it was noted the mode would be made available “shortly” after launch. DICE clarified the information on both Twitter and the original Grand Operations developer post. “A previous version of this article stated that Battlefield 5 Grand Operations would be available shortly after launch, reads the post. “[This was] based on development plans as of June 9, the date the story published. Original story follows. Thanks, STRIKE. One of the most anticipated features of Battlefield 5 is Grand Operations, the revised version of Battlefield 1’s Operations mode. Rounds take place over the course of an in-game “day”, slowly adopting different gameplay features that build to a climatic finale. Sounds great, doesn’t it? One problem – it won’t launch with the game itself. The folks at IGN noticed that the official Battlefield 5 Grand Operations description says the mode is available “shortly” after launch. There are no specifics for how long that period will be – it could be a few days, or perhaps a week. That said, it’s not unusual for studios to stagger game features. Destiny 2 has a similar practice for each of its raids. Battlefield 5 launches for PC, PlayStation 4, and Xbox One on October 19, 2018.